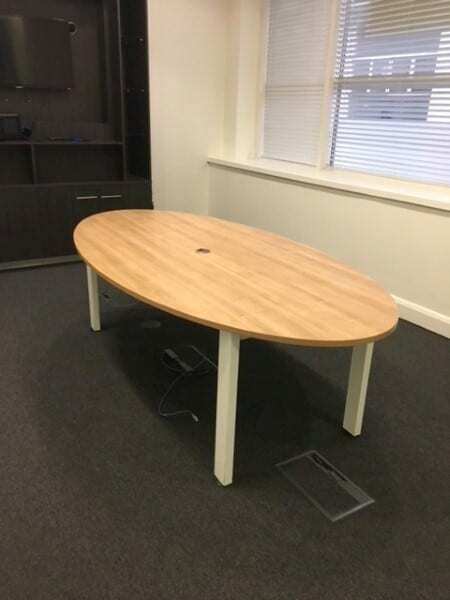 We currently have these Oak Oval Meeting Tables in stock. Combine them with the sleek Vitra Visasoft meeting chairs, or any of our other meeting chairs, and you will have created a winning formula for a productive meeting room! These tables can be viewed in our showroom along with all our other used office furniture, but please contact one of our sales team on 07944 508282 for more information.